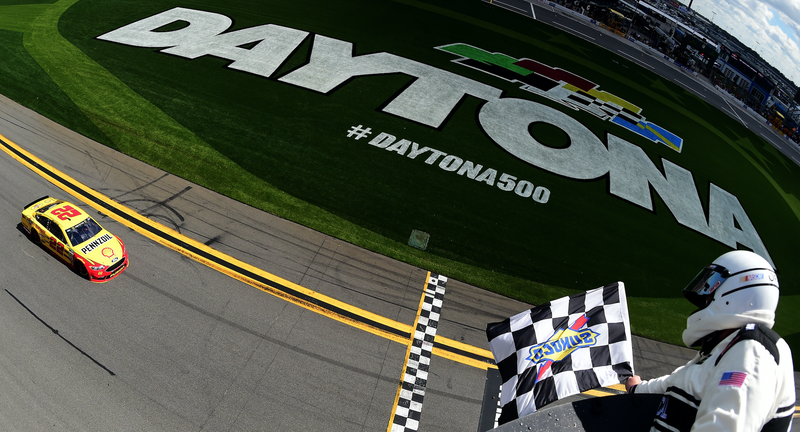 Well, everyone, the day is almost here: it’s time for a Daytona 500 broken up into segments. Along with the new rule changes adding those segments came the reintroduction of points in the Can-Am Duel qualifying races for the 500, so, if you didn’t know, the Monster Energy NASCAR Cup Series already has points leaders. Denny Hamlin and Daytona 500 pole-sitter Chase Elliott won their respective Duel races, so they’re tied for the points lead at a whopping 10 apiece. In addition to the Daytona 500, the NASCAR Xfinity Series will race at Daytona on Saturday. The Camping World Truck Series raced on Friday night and there will be a replay of the race on Saturday morning if you’re interested. As for live events not at Daytona, Monster Energy Supercross and NHRA will both compete this weekend. Supercross will be in Atlanta on Saturday night after the Xfinity Series race, and the NHRA Arizona Nationals will be at Wild Horse Pass Motorsports Park on Sunday. There’s plenty of delayed stuff, too: the NASCAR K&N Pro Series East race at New Smyrna Speedway, the FIA World Rally Championship, a couple of FIM Motocross races, the Lucas Oil Off-Road Racing Series, AMSOIL Arenacross and some Monster Jam. If you know of any additional racing events or streams going on this weekend, please feel free to share in the comments below. Is It Impossible For F1 To Design A Pretty Car Anymore? NASCAR Beefed Up Its Concussion Protocol, But Is It Enough?